In any professional relationship between an artist and an art gallery manager there should be a written contract whereby the essential conditions prior to that relationship must be set out. 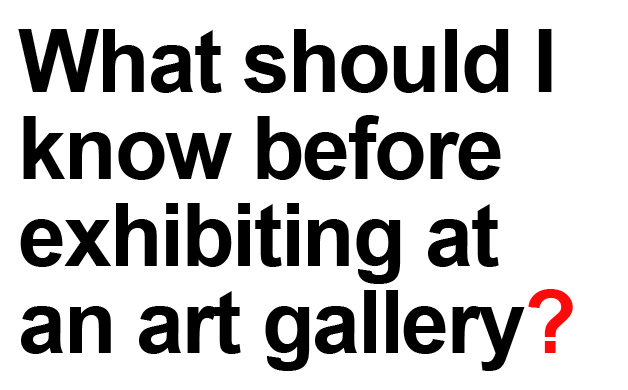 Below, we lay out some of the points, broadly speaking, that should be taken into account before the artist signs a contract with a gallery. This, in no way, should be considered a substitute for an actual contract, but a document that can be used to analyze the level of commitment between each of the parties. The Right Practice Code in Visual Arts and a sample of this contract (Spanish version) can be read and downloaded here: MODELO DE CONTRATO CON GALERÍA PARA EXPOSICIÓN PUNTUAL. A contract must consider the consequences that a breach of the contract implies. Therefore, it would be pointless to state that an artist´s work must be paid in full within a stated period if a penalty for failing to meet a deadline is not established. Oral contracts are void and null and give rise to many disputes, as lots of clauses should have been discussed beforehand. A signed contract protects both parties and formalizes a professional agreement that considers all aspects and situations that all commercial relationships entail. The artist should be fully aware of the paramount importance to learn to use the art traders tools to his own advantage and become familiar with them so as to keep the myriad of problems he has nowadays at bay, partly due to the inexistence of documents that without which he cannot defend him/herself in case of discrepancies or misinterpretations of verbal pacts. Therefore if the artist does not face the situation individually and collectively and is not aware of the importance of knowing his/her rights as well as the means to protect them, he will always be the weaker party among the rest of the agents that make up the cultural market. A contract allows both parties to negotiate the terms, and offers them an opportunity to foresee and anticipate problems that may be encountered during the professional relationship, as well as how to work them out. If you need any help, you are doubtful or are a member of AVVAC (Artistes Visuals de València, Alacant i Castelló), our lawyer, Alex Devís (LA SEU law office) is at your disposal, to whom you may consult(via email) anything connected with contracts, copyrights, etc., free of charge.